Pick up your Pictures up in about 1 Hour! Order from iOS or Android! No Credit Card Needed - Pay in Store! Just after you place your order, your images are sent directly to CVS, Walmart, Walgreens or Duane Reade for printing. Then, in about an hour, you order will be ready for pick up! 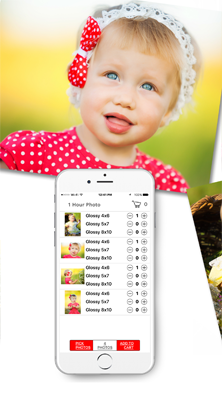 Choose from photos you have stored on your phone, pick sizes for each image and place an order to the CVS, Walmart, Walgreens or Duane Reade store of your choosing. It’s that easy! Running short on time for gift shopping? Print a photo for a special someone and pick up a frame with your order for a unique, heartfelt gift. Place your order anywhere, anytime from your mobile device. Pick your order up at CVS, Walmart, Walgreens or Duane Reade while on the go or while running errands around town. Save time by printing your order before running errands. Place your order an hour before heading out and pick up your prints while on your way to the grocery store or after picking the kids up from school. Forego your desktop or laptop computer or an extra trip to the store and free up your time for family and leisure. Looking to share photos with a friend or relative across the country? Place an order and select their local CVS, Walmart, Walgreens or Duane Reade store for printing. In around an hour, they can pick their order and enjoy a new set of pictures sent by you! You can easily order prints from the photos currently stored on your phone or tablet and pick them up at one of 18,000 locations nationwide. Send photos to grandmas local shop and she can enjoy your latest photos in an hour, even if she lives out of state. Right after you place your order, your digital images are promptly sent to the CVS, Walmart, Walgreens or Duane Reade store of your choosing. Depending on your store’s capacity, your order will be printed and ready for pick-up in about an hour. What are the sizes that I can choose from? You can select from classic print sizes including 4×6 prints, 5×7 prints or you can enlarge any photo to an 8×10 print. What is the quality of Photobucket 1 Hour Photo? Each of your photos will be printed on a high-quality glossy photographic paper. Enjoy sharper pictures with richer colors. 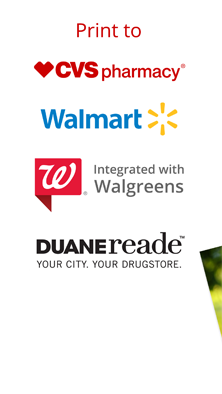 Pick up your order at any local participating CVS, , Walmart, Walgreens or Duane Reade store. Choosing a store convenient to you is easy. 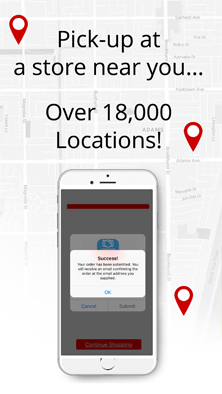 The Same Day Photo app uses your address along with GPS to list stores in your area for easy pick up. In just a few minutes, you can bring your favorite photos to life with the Photobucket 1 Hour Photo app. Instead of storing your most cherished moments away in digital storage, place an order and preserve your memories with high-quality prints that you and your family can enjoy for years to come. Whether you’re looking for an iPhone photo printing app or you want to print photos from your Android phone, we have you covered. With over 18,000 convenient CVS, Walmart, Walgreens and Duane Reade locations to choose from, you can pick up your new prints in about an hour without the stress and hassle. Forego shipping charges and save more of your valuable time for leisure. With our Photobucket 1 Hour Photo app, you can enjoy both quality and convenience. Select from three popular sizes including 4×6, 5×7 and 8×10 prints. Can you print photos in 1 hour at CVS, Walmart, or Walgreens? 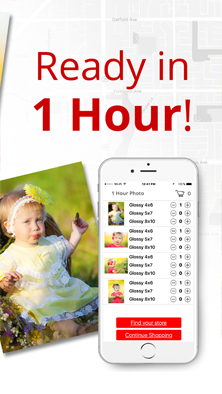 With our 1 hour photo app, you can! 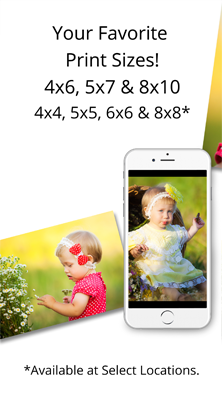 Download our app free to your iPhone or Android device and place your order in minutes for high quality 4x6 prints, 5x7 photos, or 8x10 enlargements. Above all, your order will be ready in as little as 1 hour! Choose from over 18,000 convenient CVS, Walmart and Walgreens locations nationwide and have your prints in hand same day! Getting started and placing your order is as simple as 1-2-3! 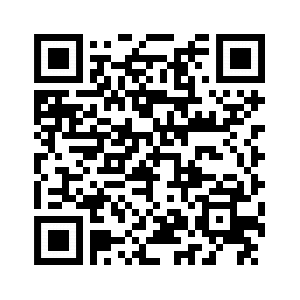 Download our app free from the Apple App Store or Google Play. Once you open your app on your phone, you can begin tapping photos from your camera roll that you want to print. Then select your print sizes and quantities before choosing your 1 hour photo pick up location! Our app is fast, simple, and fun to use! From your kids' after school activities to a long commute to work, it's hard to find time for life's simple pleasures. Now that you know how to print photos from your iPhone or Android using our 1 hour picture printing app, you can place your order anytime and swing by your local CVS, Walmart or Walgreens store to grab your order. Pick up your prints on your way home from work, while grabbing a few groceries for dinner, bringing the kids home from practice, or before a luncheon with friends. No matter your plans for the day, the Photobucket 1 Hour Photo app lets your process photos effortlessly to compliment your busy schedule! Too many of our digital photos remain stashed away electronically on our phones, tablets, computers, and social media. Don't let these photographic treasures go unappreciated; print them in 1 hour with our free photo print app and add them to your favorite album or scrapbook. Keeping an album is a great way of preserving your memories and protecting them from being lost on a broken phone or hard drive. Not only will you be keeping these treasured photographic moments safe, you'll be able to do so quickly and hassle-free with our convenient app! 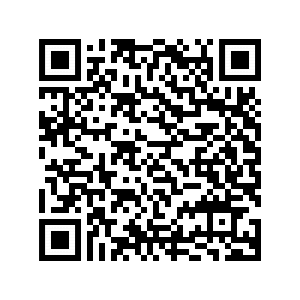 Print Android photos or you best pictures from your iPhone to update your album today! There's nothing like a framed photo to give your décor a boost of personality. Maybe your night stand is looking a little bare. Or, your living room décor shelf needs just a touch more color. With our photo app, you can print your favorite photos and have them displayed in an elegant frame within a matter of an hour! Order 8x10 enlargements and pick out a frame while grabbing your pictures at CVS or Walmart. For a one of kind décor accessory that comes from the heart, it doesn't get better than this! Can you print photos at CVS near an out of town relative? Of course you can with our handy photo app! Our app is a great way to share prints with friends and family that don't live nearby. Forego the headache of sending them pictures via snail mail. Now you can order prints through our 1 hour app and choose a convenient CVS, Walmart, Walgreens store in their neighborhood so that they can pick up their order at their leisure. Not only is our app a great way to share photos long distance, you can also use it to print multiple copies to give to friends and family that live nearby. Maybe there's an upcoming family reunion, or you're planning a get-together with friends on the weekend and there's some photos on your phone you want to share. Instead of just having everyone swipe through them on your phone, you can print copies for them in 1 hour that they can add to their collection. Sharing photos with loved ones has never been this easy. When ordering prints, you want to make sure that they're printed on high quality photo paper to preserve them for generations. That's why our app is connected to CVS, Walmart, Walgreens, so you can enjoy the best prints available in 1 hour. Using our app, you'll be able to print photos with bold, rich color saturation without shipping fees and waiting for the mailman! In addition to 1 hour prints, we also offer photo greeting cards that you can pick up at CVS and Walmart same day. Like many of us, you've probably searched for just the right card for various occasions throughout the year. Now, you can create your own using a favorite photo and pick them in an hour. With the Photobucket 1 Hour Photo app, you can print pictures at CVS. Not only that, we offer custom photo panel prints and magnets which you can order from your phone to enhance your décor! Maybe you have an empty spot on your foyer wall or a favorite wedding photo you'd like to display. Select any photo from your phone and have it turned into unique, contemporary wall décor to accent your home! The same goes for our custom printed magnets as well. You can have them printed in 1 hour and enjoy a favorite memory displayed on your fridge door, filing cabinet at the office, or your locker at work. Our CVS photo app isn't just for prints! Now you can add a personal flourish to your home in a matter of 1 hour! Love getting Photo Prints at CVS I take lots of photos everyday and am always looking for good photo apps to print photos. I live right by CVS photo so I can always pick up my photos quickly using this app. Highly recommend it! CVS Photo Prints. Fantastic app! Super fast app for printing photos to CVS. I got them at CVS store in 1 hour. Perfect way to print pictures from my Samsung Galaxy S5 phone. Love it! Love this I love being able to pick up my photos at CVS in one hour. Why didn’t someone think of this before? Photo prints at CVS I really love this app. Quick and easy way to get my photo prints. It’s really convenient getting my CVS photos within such a short time! Retail Store Pricing Applies. Pay for your order when picked up in store.